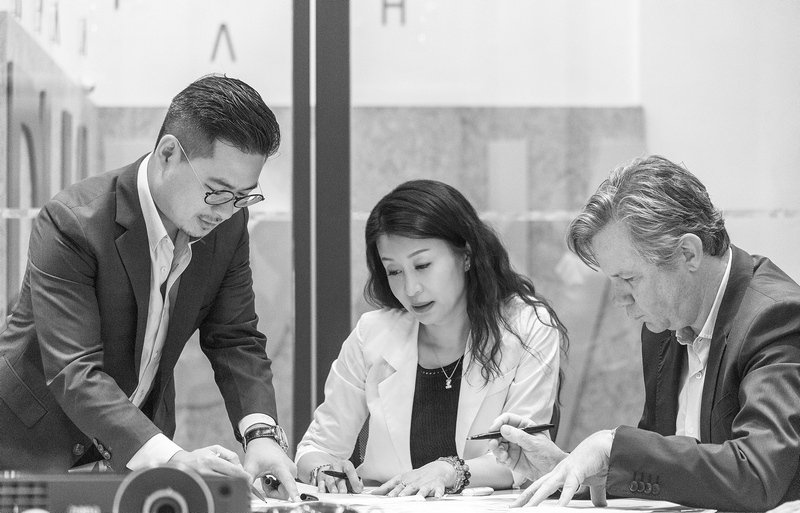 In the four years since its inception, PH Alpha Design (PHA) has worked tirelessly to generate mixed-use developments that add value, support sustainability and smash the stereotypes that have held back architecture in Mainland China. There’s a next generation of international architectural practices with the highest possible standards operating in Hong Kong. At the vanguard of delivering the art of architecture with the highest value for clients and the public is PH Alpha Design. 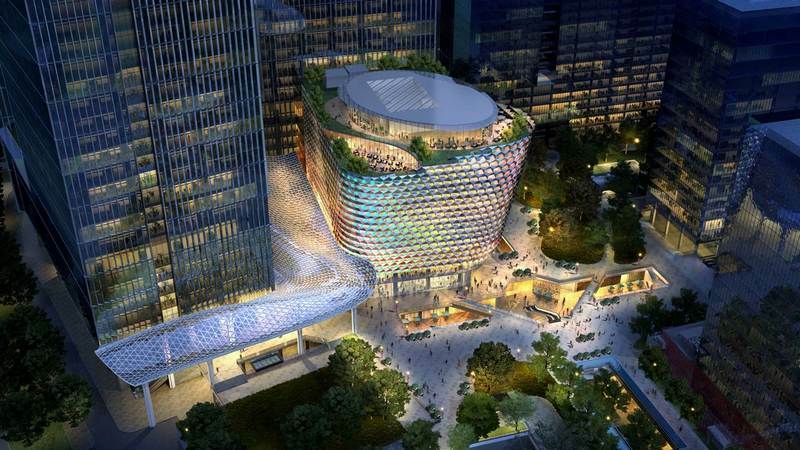 From their headquarters in Hong Kong, and with the support of their offices in Shanghai, Shenzhen and London, the architectural firm is earning an international reputation as one of the leading creators of large-scale, mixed-use projects in Asia. The PHA portfolio of work spans commercial retail enterprises and cultural facilities for clients that include CR Land, Hongkong Land, Kerry Properties and Longfor in locations across the mainland. So what sets PHA apart? L to R: Clive Chow, Director, Ping Xu, Founder and Design Director, David Roberts, Non-Executive Director of PH Alpha. 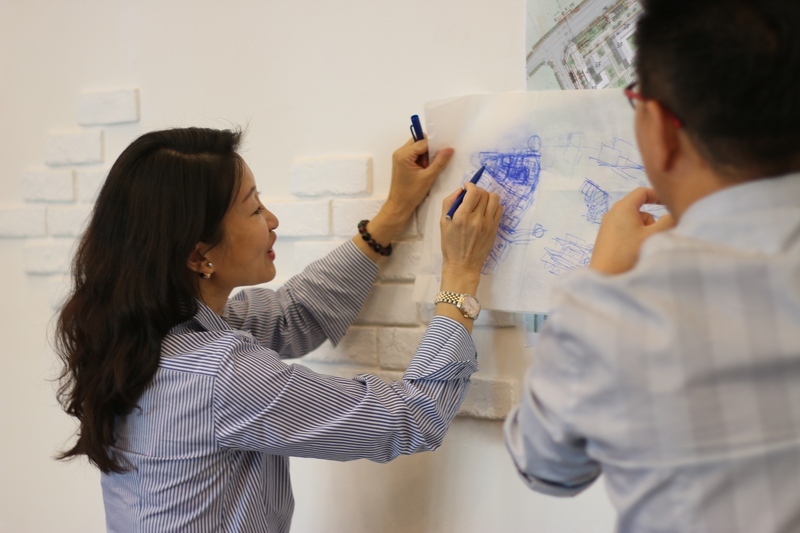 Founder and design director Ping Xu says PHA places the utmost emphasis on delivering projects that advance the quality of the built environment, that enhance the quality of life, that provide a model for the future, inspire commercial success and that, importantly, exceed the requirements of the client. 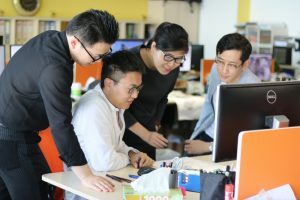 PH Alpha Office in Hong Kong. “Within the practice, we push hard to break the mould and push boundaries, but ensure that the utility of our work is first-rate,” Xu says. 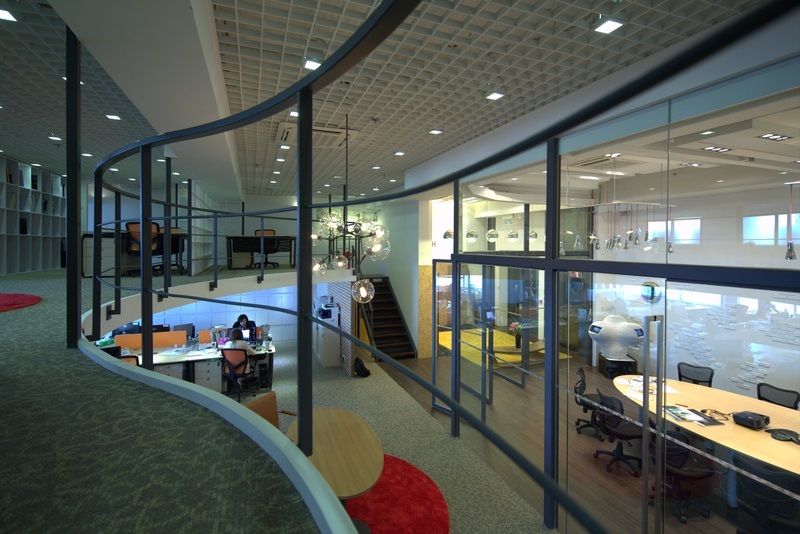 “There’s a singular focus on powerful architecture that elevates the spirit, but we remain grounded within a framework of adding value and delivering functionality. It’s a powerful model that ensures we exceed a client’s specifications.” As one of the mainstream architecture firms in designing large-scale mixed-use developments, PHA always takes the innovative and practical design approach. At the same time, PHA is also conscious of the responsibility that designers have to address sustainability issues and green design, guiding their clients to an awareness of the responsibilities developers bear to lessen the environmental impact of their projects whilst at the same time earning the respect of the local communities in which they are investing. The practice notes that although not all developers are concerned with their project’s environmental impact, that as architects it’s important to be part of the conversation. Xu set up PHA a little over four years ago, after more than 20 years spent delivering projects that included mixed-use developments, retail, office buildings, hotels, residential spaces and cultural complexes. It was her drive, and intuition that more could be done to enhance the sustainability of architecture, while also connecting communities, that led to the practice’s foundation. The practice’s emphasis on quality has culminated in some exceptional work and professional recognition almost from the moment the first project was completed. 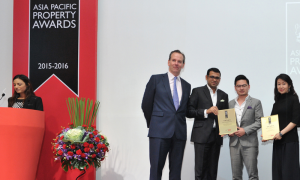 Nominations and shortlisted work for the World Architecture Festival Awards are arguably the highlights of the metalware PHA has claimed, but the most recent acknowledgements of the studio’s work came in the form of International Property Awards. If Fashion Mall was designed to be inspiringly grand, Luneng Lingxiu Mansion Commercial Development shows a grasp of practicality that many in the business would find refreshing. On a tiered, narrow block defined by a major thoroughfare on one side and high-rise towers on the other, the 97,382 square metre mixed-use development invites pedestrian flow from multiple approach points. Consumers are drawn into a low-rise development with a programme of streets and lanes folded in upon themselves. The streets resemble an organic product generated after centuries of commerce and trade – complex but always compelling and very much on a human scale. As much as the street blueprint offers variety, the development’s interior commercial spaces intertwine with publicly accessed outdoor spaces. The shopping street is linked to a sporting pavilion that yet again underlines the multi-dimensional experience of this clever development. These types of experiential retail developments are increasingly popular as destinations and make commercial sense, as the Mainland’s existing stock of shopping centres approaches the limits of their useful life. It places PHA in an enviable commercial position. In their design work for the workplace, PHA also combines the idea of multiple textures and layers. The Genzon Kexing Technology Park D4 Tower has been shortlisted in World Architecture Festival 2017 Awards in the Office – Future Projects category. The addition to the Science and Technology Park of Shenzhen appears as the bow of a boat, pushing through into the plaza that surrounds it. By applying the parametric design method, the media façade is composed of a number of modularized units, each includes a triangular LED panel, giving the building the sense of it being alive. 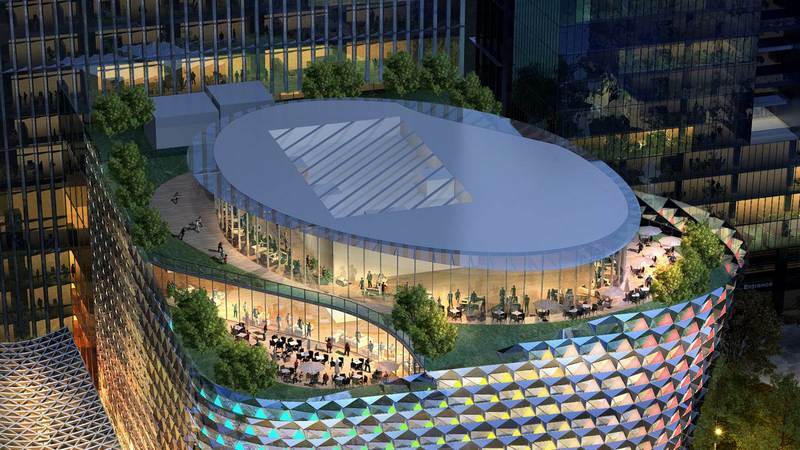 The concept was to build the “heart of a technology city” by activating social activities, by creating a public plaza and connecting green spaces. It’s a futuristic building that underlines PHA’s approach to look forward. The practice will continue to have faith in delivering world-class design solutions that break new ground in innovation, functionality, sustainability, practicality and efficiency.